Squamous cell carcinoma of eye is sporadically reported in bovines in Pakistan. 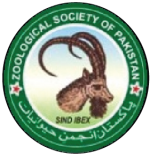 During June 2014 to 2015, twenty five buffalos ranging in age between 7 to 9 years, were referred to surgery clinic at University of Veterinary and Animal Sciences, Lahore, Pakistan. The patients showed the signs of ocular lesions associated with plaque formation on the cornea and sclera and papilloma formation on the lateral limbus of eye. The tumors were large and usually protruded through the palpebral fissure and infiltrate the entire eye ball. Diagnosis was made based upon the clinical and histopathological examination of the tumor sample. In all cases, tumor resection was performed followed by cauterization of the remaining surface with silver nitrate. No postoperative complications or local recurrence were reported by owner of each case. MKM designed and planned the study. GM performed histopathology of diseased tissue. SU and M analyzed the data and wrote the article. Bovine, Squamous cell carcinoma, Eye, Pathology, Surgery. Ocular squamous cell carcinoma is the most common tumor of the bovines (Gharagozlou et al., 2007). It results in significant economic loss and shortened the productive life (Tsujita and Plummer, 2010). The peak age of incidence is between 7 to 9 years with incidence rate varies from 0.8% to 5.0% among herds (Cordy, 1990). Multifactorial causes of the neoplasm including the heritability, sunlight, nutrition, eyelid pigmentation, viral involvement and irritation caused by dust, insects and chemicals (Russel et al., 1976; Narayanan et al., 2010). Ocular lesions are associated with plaque formation on the cornea and sclera and papilloma formation on the lateral limbus of eye. Corneoscleral junctions are affected most frequently but involvement of eyelids, conjunctiva and nictitating membrane is also reported in some cases (Perino et al., 1993). The lesions usually begin, smooth and white plaques on the conjunctival surfaces and progress to papilloma and then to squamous cell carcinoma. The size of the tumor become large without invading the eye globe but invasion into the eye and metastasis of the tumor to the parotid the submandibular lymph node occur in later stage of the disease. Diagnosis is made by the clinical appearance observed at clinical examination and histopathological examination of the tumor sample. There were 25 animals with age range 6-10 years, presented at surgery clinical with the history of protrusion of mass from eye along with the sign of keratoconjuctivitis. A mild neutrophilia was observed in hematological analysis. A mass was most commonly seen in 20 patients also had the history of irritation and redness and decrease vision. Two patients presented with diffuse disease along with conjunctivitis and three were incidental. Lesions were present on the right in 10, on the left in 8 and on the both eyes in 7 buffalos. Twenty were nodular and five were diffuse involving the limbus circumferentially. There was involvement of Limbus in 3, limbus and cornea in 5, fornix in 1, medial canthus in 15, bulbar conjunctiva in 1 animal. Duration of symptoms was <1 week in one, 1-6 weeks in 4, 2-6 months in 10 and 12 months in 5 animals, respectively. Size of the tumor recorded in 25 animals was ranges from 10 < 5 mm 20>5. 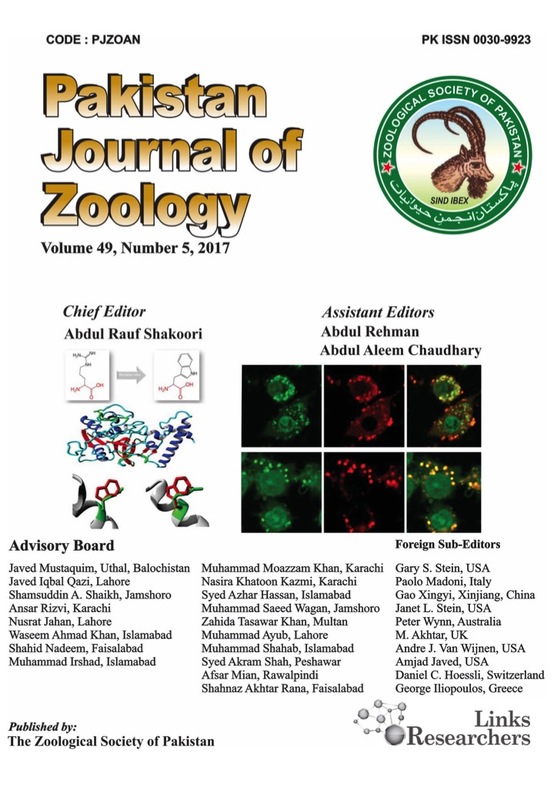 Each animal was sedated using XylazR (Prix Pharmaceuticals, Pakistan), at a dose rate of 0.1mg/kg body weight (Ahmed et al., 2016). Prior to sedation, atropine sulphate was injected intramuscularly at a dose rate of 0.1-0.4 mg/kg body weight, in order to avoid sinus bradycardia and to reduce gastric and tracheal secretions. The site around the eye orbit was then clipped and aseptically prepared using Pyodine Scrub (Brookes Pharmaceutical Laboratories, Pakistan, Ltd.) for Peterson eye nerve block technique. Eye nerve block was performed with spinal needle (18 gauge) by using xylocaine (Barrete pharma, Germany), (20 ml for retro palpebral nerve block and 5 ml for auricopalpebral nerve block). After positioning the animal in standing position, aseptically prepare the eye for aseptic surgery using one percent boric acid solution. Exposed mass then removed after dissection with the margin of 1 cm. Diffuse bleeding were controlled by using adrenaline gauges applied at the excision site. After excision of the tumorous mass, remaining surface was cauterized by using swab of AgNo3. Eight animals having lesions on limbus and cornea were treated by performing enucleation in 6 and exenteration in 2, respectively. Antibiotic therapy (penicillin-streptomycin, 20,000 IU/kg, IM, twice a day), were administered for 7 days after surgery. Post operatively, all animals were followed by communication with clients on phone calls and on routine daily visits up to seven days. There was on reoccurrence of lesions were observed in all cases. Bovine ocular squamous cell carcinoma commonly called “cancer eye” is the most common tumor effecting the bovine eye, as well as the most frequently diagnosed cancerous tumor in the bovine (Fazili et al., 2001). This disease is of extreme economic importance to the cattle industry as it accounts for nearly 12% of carcass condemnation (Tsujita and Plummer, 2010). The etiology of the disease is multifactorial. There is a predisposition towards cattle with non-pigmented eyelids and conjunctiva. Prolonged exposure to sunlight also seems to be a driving force for the disease. Bovine papillomavirus and infectious bovine rhinotracheitis virus have been isolated from these lesions, but their importance in the disease process is unknown (Pugliese et al., 2014). The most common areas of the tumors are the limbus (junction of the cornea and the sclera), the third eyelid, and on the upper and lower eyelid margins. Twenty five cases were treated by using surgical therapy, which involves excision of the tumor via lid resection and enucleation. After sedating and blocking the innervation of eye, tumor resection was performed along with the cauterization of the remaining surface. Upon histopathological examination, accumulation of red blood cells in many blood vessels of different areas was seen. A large number of squamous epithelial cells were visible even in the stroma of the tissue. These cells were large, have high nucleus to cytoplasmic ratio, very prominent nucleoli and the cells were disorganized. Angiogenesis in different areas of the tissue was visible. In some areas hemorrhages were also visible. One area contained many variously sized mitotic figures. Certain focal areas of rapidly dividing cells were also visible along with many pleomorphic cells. None of the authors of this paper has a financial or personal relationship with other people or organisations that could inappropriately influence or bias the content of the paper. Cordy, D.R., 1990. In: Tumors in domestic animals (ed. J.C. Moulton), 3rd ed., University of California Press, California, pp. 654-660. Ahmed, H.A., Ali, A., Ali, A., Munir, M.T. and Umar, S., 2016. Surgical correction of intermittent unilateral hind limb extension in cattle and buffalo. Pakistan J. Zool., 49: 717-719. Fazili, M.R., Buchoo, B.A., Darzi, M.M. and Hussain, S.S., 2001. Indian J. Vet. Surg., 22: 132. Gharagozlou, M.J., Hekmati, P. and Ashrafihelan, J., 2007. Vet. Arhiv., 77: 409. Perino, L.J., Griffin, D.D. and Rogers, D.G., 1993. G93-1184 bovine ocular neoplasia. Historical Materials from University of Nebraska, Lincoln Extension, Paper 197. Pugliese, M., Mazzullo, G., Niutta, P.P. and Passantino, A., 2014. Vet. Arhiv., 84: 449-457.